After an imperial performance on the first stage, Eduard Nikolaev has repeated the feat today with is second consecutive stage win in 2019. 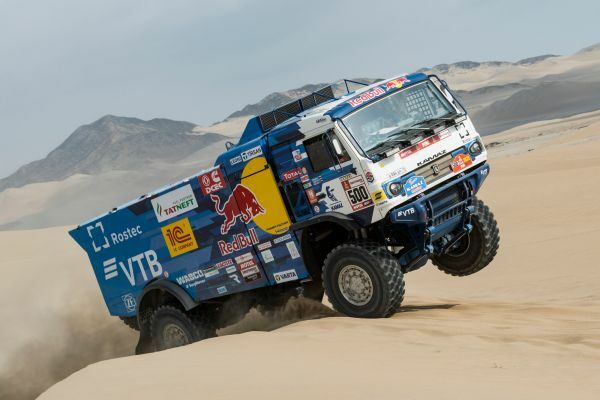 The title holder was in total control on the sandy terrain behind the wheel of his Kamaz and beat Gérard de Rooy by 2’39’’. The Dutchman is still in the reckoning in the general standings, however. Just like his performance yesterday, Nicolás Cavigliasso has again dominated his rivals with an imperious victory and a lead of 11’18 over Gustavo Gallego. The Argentinean has opened up a significant gap in the general standings. Eduard Nikolaev has not let up at CP2. The winner in 2018 boasts more than one minute’s lead over Gerard de Rooy, who could be his fiercest rival this year. Dmitry Sotnikov completes the current top 3. Nicolas Cavigliasso has outclassed everyone else at CP2. The Argentinean rider, who already won yesterday, boasts a lead of more than 12 minutes over Alexandre Giroud, Gustavo Gallego and Italo Pedemonte. 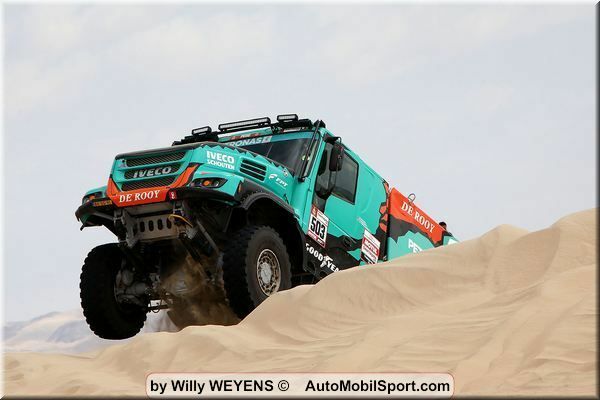 This year, Yoshimasa Sugawara is taking part in his 36th Dakar at the age of 77 years! The most experienced driver on the rally has been through such problems before, but is currently struggling in the dunes only 32 kilometres after the start of the special.